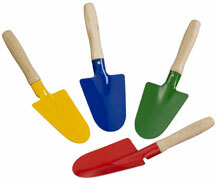 Children tools - Shovels etc. All children tools are TÜV/CE certified. as well as lead and cadmium free.